We offer personalized Education Courses that can be booked in your salon for your Team. All of our education courses, trainings, presentations, and shows are developed at the highest level and designed to be relevant, progressive, and inspirational. Knowledge drives everything we do – and how we will do it that means that we absolutely understand what hairdressers want, need, and desire. We are HAIRDRESSERS! CBC delivers with passion, technical excellence, inspiration, and commitment to the industry. Chrystofer Benson and the Creative Team are constantly updating the work, education, and collections we offer. As well, our tools are the heart of inspiring new creativity in the industry ensuring that your experiences are both profitable and enjoyable, too! 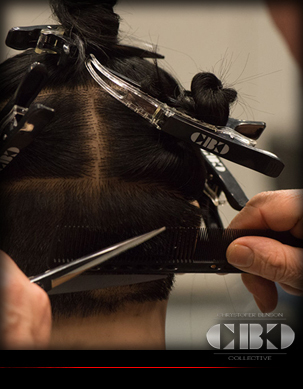 Our CBC Education is developed for hairdressers by hairdressers. By offering the highest-quality education, inspiration, tools, and customer service, we continuously maintain our status at the highest level redefining the standards of excellence in hairdressing creativity and technical skill together by driving hairdressing into the FASHIONABLE ART form it is! We develop ourselves and our team skills at CBC through 3 LEVELS of Education as well as offering Personalized Training and Trainer Trainings. We look forward to working with you closely in the future and welcome you to the COLLECTIVE. Come experience what it takes to make an exciting difference with your dynamic career and join the ARTISTS of the CB COLLECTIVE for a personalized experience or stop by and see us at the shows – we look forward to seeing you soon! 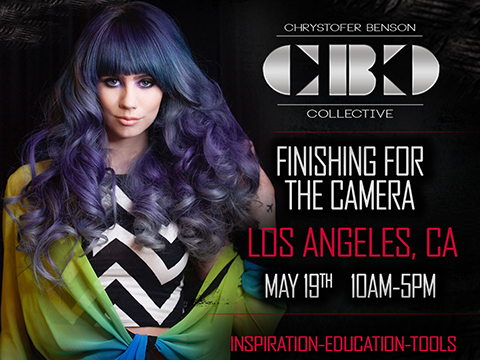 DESCRIPTION OF COURSE: The Global Award Winning CBC Creative team has designed a class to share their successful styling and finishing techniques for the camera! In this class we will share how to build your best content and how to leverage it, create the best kit, and how utilize your tools to create new styling techniques. We will also get hands on – and practice capturing these styling looks on set to view how each look comes across on camera with realtime feedback. You will leave this class empowered with new tools you need to finish hair beautifully for the camera and how to leverage your beautiful looks on social media! The CORE LEVEL is where the development of all our fundamental skills start, the first level to all good end results. 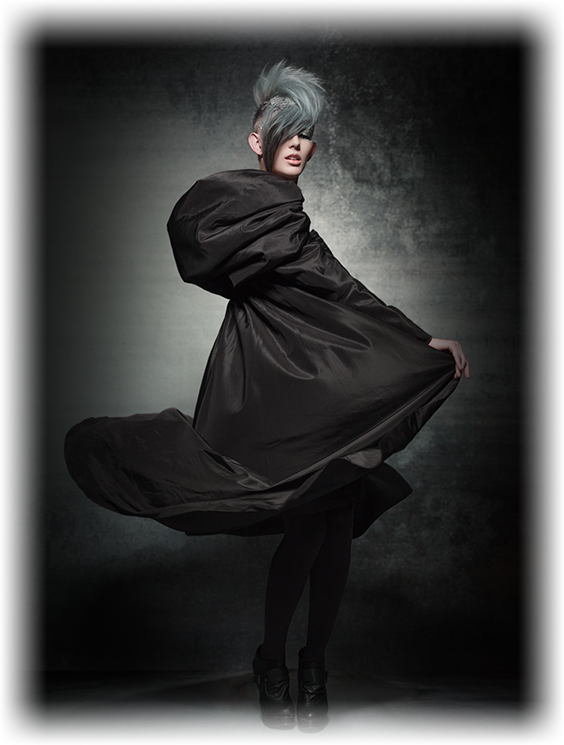 The COLLECTION LEVEL is trend and seasonal collections that take the fundamentals and fuses those ideas into current techniques, quickly translatable for the salon. We look forward to working with you closely in the future and welcome you to the CBC EDUCATION COURSES and what we could offer to YOU and/or your TEAM. Experience what it takes to make an exciting difference with your career and join the ARTISTS of the CB COLLECTIVE for a personalized experience in one of our following courses – we look forward to seeing you soon! 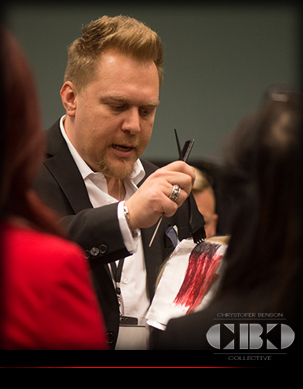 DESCRIPTION OF COURSE: CBC CORE CUTTING is the introduction to the core foundations of haircutting techniques. Throughout the course, emphasis is placed on methodology and terminology focusing on the achievement of perfect balance and technique. DESCRIPTION OF COURSE: CBC COLLECTION takes you on a journey of the CBC International Artistic Team’s latest trend of where their ideas, research, and vision are to create a new creative approach that is both technical and functional. 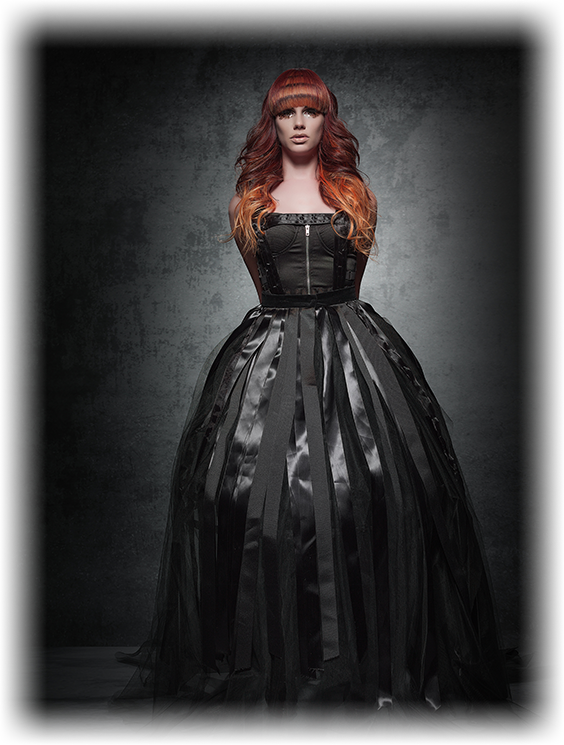 Ideas work from the extreme to the commercial but are fundamentally based on strong cutting and coloring techniques designed to develop the hairdresser. DESCRIPTION OF COURSE: CBC CORE COLOR is the introduction to the core foundations of hair coloring techniques. Throughout the course, emphasis is placed on methodology and terminology focusing on the achievement of perfect balance and technique. DESCRIPTION OF COURSE: CBC COLLECTION takes you on a journey of the CBC International Artistic Team’s latest trend of where their ideas of hair are right now. This always-changing journey will be technically sound and commercially bold. DESCRIPTION OF COURSE: CBC CREATIVE takes your passion and artistry to the next level by developing and executing creative fashionable designs. The CBC Creative Team merges their creative ideas, research, and vision to create a new creative approach that is both technical and functional. Ideas work from the extreme to the commercial but are fundamentally based on strong cutting and coloring techniques designed to develop the hairdresser. 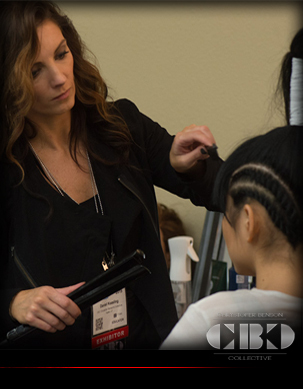 DESCRIPTION OF COURSE: CBC CORE STYLING is the introduction to the core foundations of hair finishing techniques. The perfect course for those new to the industry or veterans of hair that want to revisit the science to fast, efficient, and flawless styling skills. DESCRIPTION OF COURSE: CBC COLLECTIVE SESSION STYLING is designed around what our team members are seasonally seeing backstage in New York Fashion Week as well as traveling the globe seeing the world of fashion. 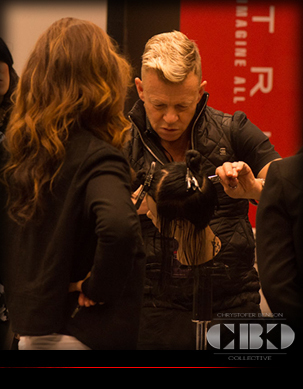 The wealth of information gained from the experience around the world and CBC’s strong belief in sharing ideas and knowledge has resulted in the development of the COLLECTIVE SESSION STYLING COURSE. Fashion is linked seamlessly with hair and the relationship between the two dictates the total image of the individual. DESCRIPTION OF COURSE: CBC is renowned for it’s strong imagery globally. Inspired and led by Chrystofer Benson, the CBC Creative Team continually participates in photo shoots creating images to promote the CBC brands as well as many other brands in the industry. Copyright © 2019 Chrystofer Benson Collective. All rights reserved. Salon Web Design by StyleNet.